The BlackBerry Storm 2 has got a new home, courtesy of T-Mobile, who is now offering the smartphone to its customers. The BlackBerry Storm 2 was announced back in October 2009, with Vodafone grabbing first-dibs for the UK. The new deal by T-Mobile is £35 a month, with the phone coming for free. This is for those who take out a 24-month contract and includes 600 minutes, 500 texts and unlimited internet. The BlackBerry Storm 2 is a touchscreen smartphone, complete with 3.2MP camera, access to BlackBerry App World and built-in GPS and Wi-Fi. It comes packing a 3.25-inch screen and 2GB on-board memory storage. 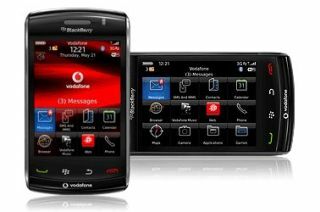 Vodafone did announce to TechRadar back in October that the deal it had in place to stock the BlackBerry Storm 2 was not an exclusive one, merely a first-to-house option. Go to T-Mobile.co.uk for more details.